You'll never run out of things to do. History and many other adventures await you from battlefields and museums to water fun. Outstanding cultural and entertainment events are presented by the University of Mary Washington, and there are four Civil War battlefields maintained by the National Park Service, too. 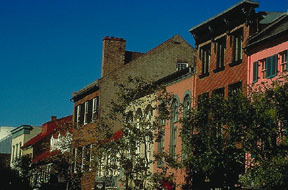 Historic downtown Fredericksburg features numerous specialty, retail, craft and antique shops in restored 18th- and 19th-century buildings.